My mum has recently challenged me to think of 20 things I would like to do before I turn 20 this year – and obviously, do them. She said they can be as small or as big as I would like, as long as there’s 20. So I figured, why not turn it into a blog post? I swear most of my blog post ideas actually come from my mum. 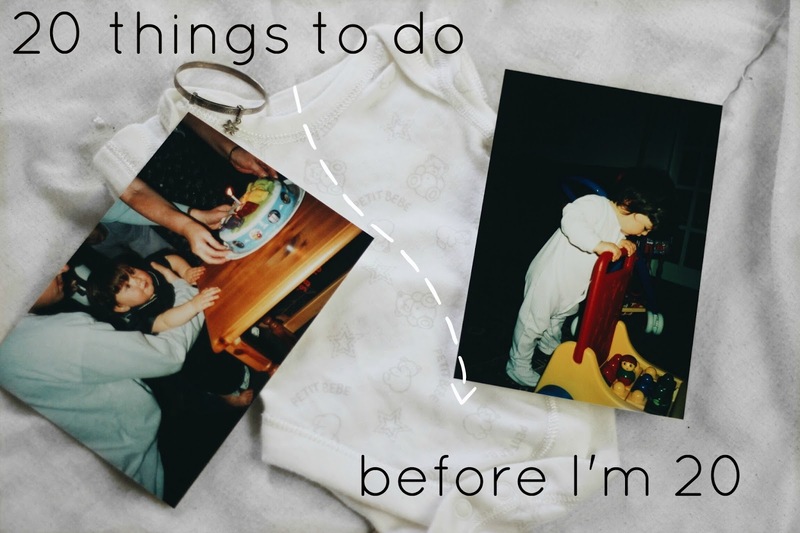 I know this is quite a cliche thing to do, but mostly it’s ’20 things I did before I turned 20′ so this is a little different. I’m just doing it early. Visit the Budapest thermal baths. Get my hair cut short. Start regularly exercising (and maintain it). Finish reading a classic book (Pride & Prejudice, Jane Eyre, Wuthering Heights). Save at least £500 (aiming small because I am rubbish at saving money). Visit the Madame Tussauds in London. Paint my desk OR buy a new one. Read the second Miss Peregrine book. Pin up my photos OR put them into a photo album. Get my baby bracelet adjusted to a wearable one. So there’s 20 things I’m going to do before I turn 20 in October! Some of these are lame, some are already booked (so I’m cheating a little bit) and some of them will be a bit of a challenge! Here’s hoping I actually succeed. What things would you like to do before your next birthday?